Our precious waterways are an important part of our nation’s rich heritage and beauty. They give enjoyment to countless people – not just to those who navigate them but also those who walk along them, sit by them, fish on them, cycle beside them or simply enjoy being near them. 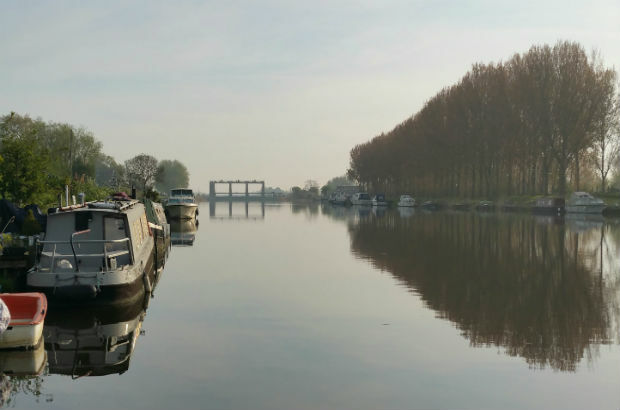 The Environment Agency looks after navigation on more than 350 miles of them in the Anglian Waterways network, as well as a vast system of associated facilities such as bridges, locks and moorings and a marina in Northampton. 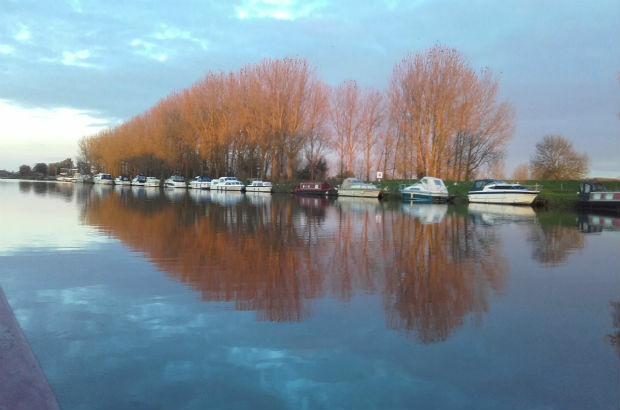 Partnering with Cambridgeshire Acre, a rural community council, means we can work with volunteers to do more for the 1 million visitors who enjoy our waterways every year. This Volunteers’ Week, we’re recognising all the diverse skills, personalities, perspectives, knowledge and experiences local volunteers can bring. Here, two of our assistant lock-keepers describe what motivated them to volunteer and what they’re enjoying most. In the same way that some people just have to live by the sea, I’ve always had a connection to our rivers. There’s something clean and natural about it, and the pace of life is gentle. I grew up with the River Cam and remember boating, canoeing and holidaying on the Broads. Then three years ago I stopped working and my partner and I have been living on our boat ever since. At first it was an adjustment, but there’s nothing like waking up in the morning, opening the shutters, and looking out at the sunrise over the farmland from the end of the moorings. "It's a dream job, in a rural location surrounded by nature and wildlife," David says. These days I spend about 98 per cent of my time on the water, and last year I became a volunteer at Denver lock. I’d seen an advert online and I’d always wondered about being a lock-keeper – the way of life was so appealing. So, when I’d finished working and was looking for something interesting to do with my time, I applied. It’s enjoyable, light work with something to appeal to everyone. Working in a pair, one person mans the controls on one side of the bridge while the other talks with the folks in the boat, explaining what we’re doing, reassuring them and giving helpful guidance. Although I’ve spent a lot of time on the water, I never knew there was such a knack to operating the locks – you have to account for the tides, winds, weather, and keep an eye on the computerised system to make sure conditions are right and the water is calm enough to let boats through. And while it’s not always busy, it’s never dull. You’re outside, surrounded by nature, meeting all different kinds of interesting people including holiday-makers, full-time river-dwellers, and visitors from France, Holland and all over Europe – in fact I think it’s like working on the East Anglian Riviera. It’s a bit of a dream job, really, out in a rural location surrounded by nature and wildlife, with a relaxed pace of life and a real sense of community. I’d encourage anyone who’s thought about volunteering at a lock to look into it further. You’ll be trained and supported, get to work in the fresh open air, and help others enjoy our wonderful rivers, too. Oh, and if you’re lucky, you might even get to see a seal or two swim through a lock, like I have. Apparently they do that from time to time! Tina, 57, is a part-time carer and photographer who has recently signed up as a waterways volunteer. I never knew volunteer lock-keeper assistants existed until last year. But I got chatting to a fellow boater who lives nearby, and he told me how rewarding he found volunteering with the Environment Agency at Denver lock. I was intrigued. I love to learn and it seemed a great opportunity to further my knowledge about the rivers and natural world around us. My partner and I have lived on our own 62ft canal-boat for about three years. He’s always wanted one and I’ve since come to relish the freedom, peace and quiet of river-living. Last year we spent three months away in our boat and travelled 450 miles and went through 427 locks. When you travel by river, it gives a different perspective on the country we live in. You notice different things because you’ve got more time to do it. I’ve been able to see birds like king-fishers and herons, and observe the behaviour of nesting swans – things I’ve never experienced first-hand before. 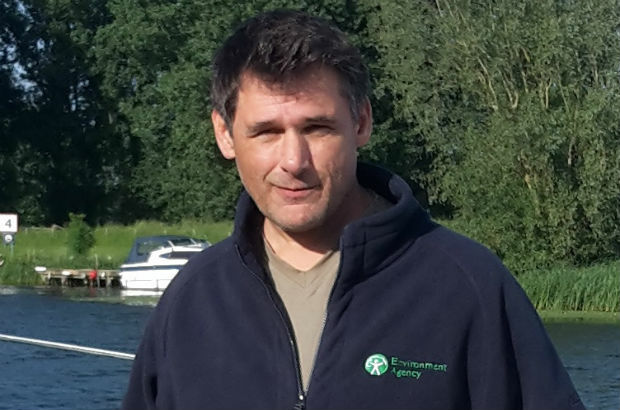 Now I’ve signed up as a volunteer, and so far, I’ve really enjoyed learning about the rules and regulations of the waterways and what our roles are, thanks to excellent training from Rachael at Cambs Acre, a rural community council that works with the Environment Agency. I’ll be working at Denver Lock on the Great River Ouse at Norfolk, helping boats get safely through the lock, and doing a bit of gardening, too, to make the area more attractive to visitors. I also help people learn more about the local area – answering their questions and helping them learn more about the local area. Everyone’s really friendly and it’s great to be able to pass on my local knowledge. I want to help people find the same enjoyment on the rivers that I have, so I’m already finding that volunteering is really rewarding. Who knows – maybe they’ll then go on to volunteer at some point too. 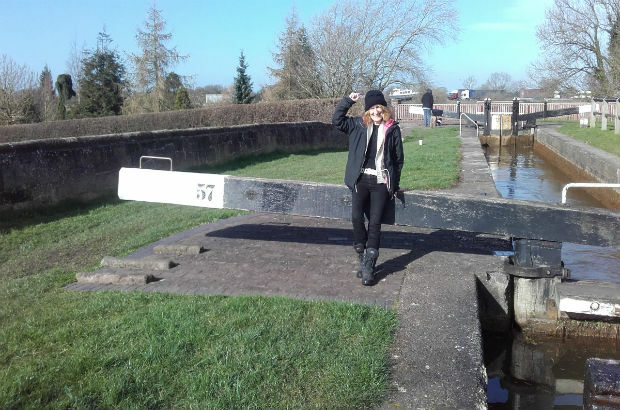 Being a volunteer at the lock is ideal whether you want to find hours that better suit your lifestyle, meet new people, or just be by the water as it’s so peaceful and relaxing. Plus, doing something to help the community just feels good. You can find out more about Anglian Waterways on our website. If you’d like to learn more about opportunities to volunteer, search online for Anglian Waterways Volunteer Scheme, or contact us on 01353 865037.